The Meknes medina, garnished as a UNESCO World Heritage Site since 1996, holds many treasures within its walls. The first one can be admired even before you enter the imperial city: Bab Mansour. This incredible gate (bab in Arabic) is not only a spectacular example of Almohad architecture but it also holds a unique story behind its construction. Take the road from Ouarzazate to Erfoud and you will find yourself driving along what is commonly known as the Road of One Thousand Kasbahs. You’ll catch a spectacular view of a vast valley dotted with small oases and hundreds of ancient fortifications. The sand-colored walls of the kasbahs may all start to look the same after a while, but don’t be fooled: they each hold a special historical treasure within. Update: In September 2016, this iconic rock arch collapsed due to erosion. There is still an arch on the beach, but this one currently no longer exists. Morocco is a country filled with beautiful hidden gems and Legzira Beach and Rock Arch are undoubtedly a part of this collection. 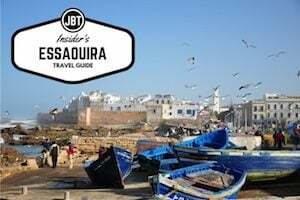 Tucked away between the two small towns of Mirleft in southern Morocco and Sidi Ifni on Morocco’s Atlantic coast, Legzira is known as one of the most picturesque beaches in all of Africa. Like its other Atlantic counterparts, the 8km of sandy coast are windy, rocky and expansive. But they also hold a unique charm. They say a picture is worth a thousand words, and it is in the heart of the Red City where you will find a collection of photographs worth well over 40,000 words if we take the saying literally. The Maison de la Photographie, one of Morocco’s richest photography museums, is located in a hidden spot in Marrakesh’s medina. 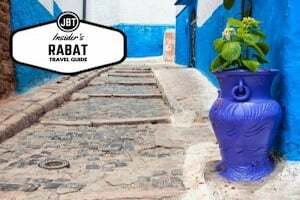 You will have to get past the popular souks and walk through some twisting back alleys to find the beautiful riad where the museum is set, but even if you get lost on your way, the museum is well worth the hunt. 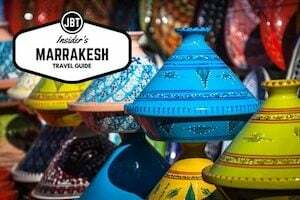 If you walk too quickly through the busy streets of the Marrakesh medina, you may just miss out on one of its biggest treasures. Once the largest Quranic school in North Africa, the facade of the stunning Medersa Ben Youssef (Ben Youssef Madrasa) blends too easily with the dusty houses and buildings of the medina. But don’t be mistaken by its plain wooden doorway and bare outer walls. The inside of this ancient school is filled with magnificent craftsmanship details from zeillij tiling to incredible stuccowork and beautiful wood carvings. So take a breather on your journey through the winding streets of the medina and discover a magnificent (and quiet!) sanctuary that will make you forget all about the hustle and bustle of the hectic souks. Hidden from the world for roughly 200 years, the Saadian Tombs were found a short distance from the bustling city center of Marrakesh, and are a truly rich architectural gem. Housing two lavish mausoleums with approximately 60 tombs and over 100 more in the beautiful gardens, the Saadian Tombs are one of the most elaborate and best preserved resting places in Morocco today. Historically, Morocco has strived to be a place of acceptance. Several different cultures and religions have inhabited its cities and towns throughout the centuries. Today, the majority of its population is Muslim but it is not hard to find a wide array of remnants of the country’s Jewish heritage throughout its many cities. Most Jews immigrated to Morocco in the 15th century following the Spanish Reconquista which pushed out the entire Jewish population from the Iberian Peninsula. They established themselves in mellahs (or Jewish Quarters), that were often found in a corner of the city fortified by Kasbah walls for protection. These mellahs became a city within a city for the Jews with their own synagogues, fountains, and markets lining narrow streets and alleyways. Leave the busy streets of Marrakesh for a day and venture off into the Atlas Mountains – what you will find may certainly surprise you. 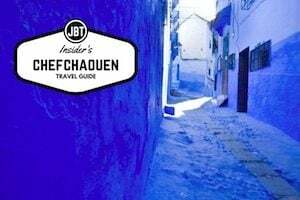 Tucked away in the vast North African mountain range is a minor tribute to what was at one time the most significant spiritual center of the glorious Almohad dynasty – the Tin Mal Mosque (or Tinmel Mosque). It was once a vital stronghold hidden in the mountains with political, military and religious significance, but it stands in slight ruin and devoid of many tourist visitors; all of these reasons you should take a visit. 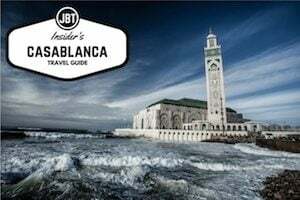 The Bahia Palace is both a palace and a set of gardens situated in the medina of Marrakech, Morocco, just along the northern edge of Mellah, also known as the Jewish Quarter. While the exact dates for the construction of this palace are not known, records indicate that it was commissioned between 1859 and 1873. It was completed in 1900. The construction was the work of a father and son, Si Moussa and Ba Amed. The two were vizirs to Alawid Sharifs, Moroccan sultans. The name Bahia means “brilliance.” The building incorporates beautiful and intricate stucco work and a form of polychrome mosaic known as zellij (or zellige), which was topped by painted, inlaid woodwork ceilings. Can you imagine a caravan coming across Morocco hundreds of years ago? Rising up in front of weary travelers is a tower. Prayer time and hot quiet desert air allows the singsong chant of the muezzin drift out to meet them. Such sights and sounds have greeted travelers as they neared Marrakech for more than 700 years. Sitting in the center of the city is the Koutoubia Mosque and minaret.